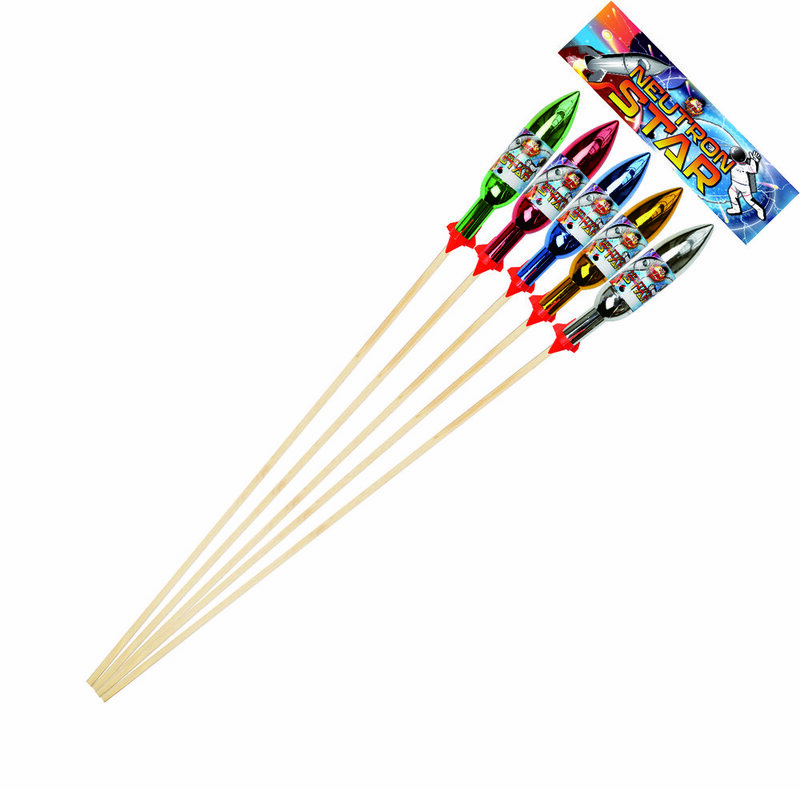 Rockets – A rocket is a tube like firework that using a powder motor, propels itself into the air before exploding to create a report and effect. Our rockets come in all sizes and with many different effects. 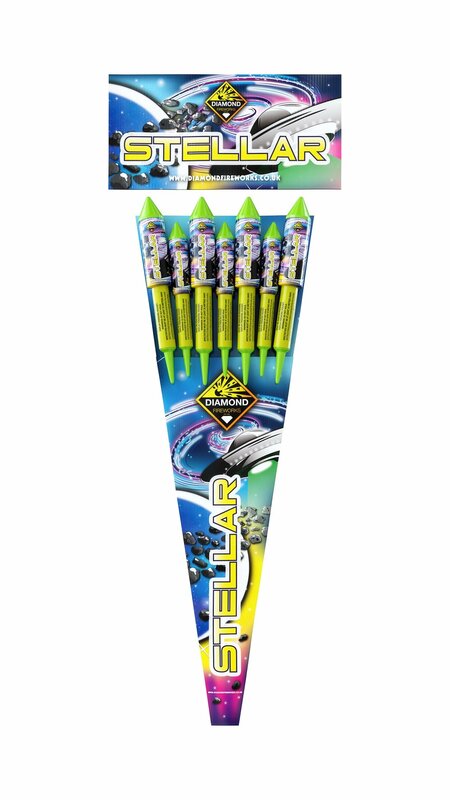 The Bad Boy Thunder Rockets are small screamer type rockets and are brilliant fun. If bigger bangs and lots of variety are more your thing, check out the Air Raid Rocket Box which contains a selection of 24 rockets. 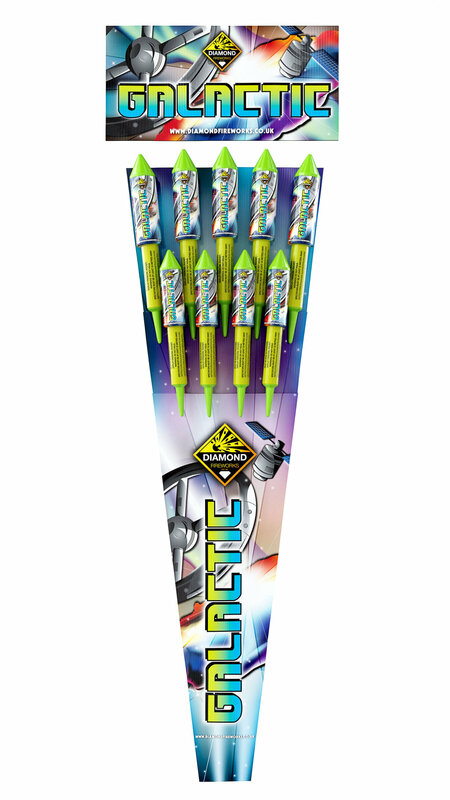 We have a range of 1.3G rockets that have the maximum amount of powder and pack a serious punch! See the Mega Scud, the Atom Bomb, Mega Hawk and Trident Rockets for more details. To enquire about buying wholesale please see our Wholesale Fireworks page.